I almost didn’t make a cake to celebrate Hungry Sofia’s third birthday, but then at times it felt like I might not make make it here period. There have been a million distractions pulling me away from the kitchen the last couple of months. 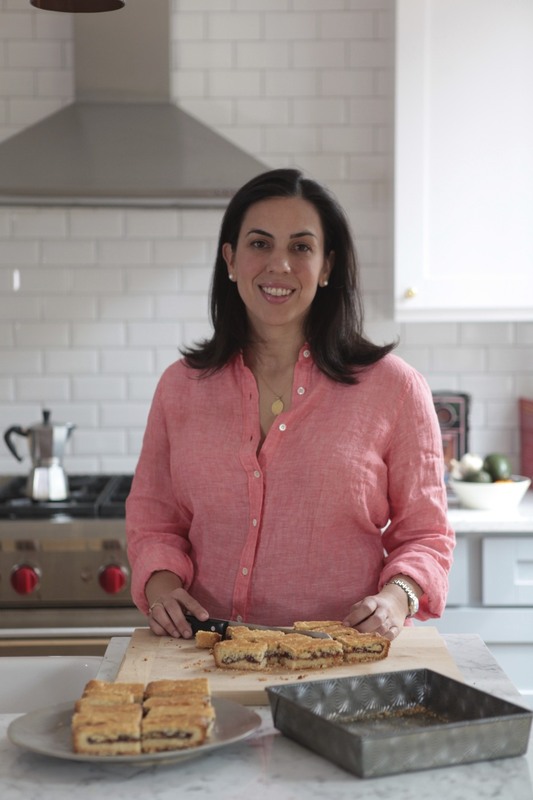 Inspiration is not hard to find if your writing a food blog – we all have to eat and I’m always coming across a new shop, book or market – but actually getting to the kitchen and working something out is harder, much less writing about it. I’ll get it just right in my mind then draw a complete blank when I’m actually sitting down and ready to do something about it. Sometimes I feel like a three year old, getting so over simulated she tires herself out at her own party and ends up face down, party hat askew, face covered in fosting. These thoughts were running through my mind as I was coming off the Brooklyn Bridge this Saturday. After taking a break from long distances, I’m once again training for a half-marathon in January. We’re at the point now where each week sets the finish line one or two miles later, fooling the body to push further a little bit at a time. It’s always fun to tell people how far you’ve gone when you feel like you’ve really gone somewhere, though no mile is ever harder than the first. Each time I head out, I feel like I’m learning to run all over again. Once I get started, most runs, my favorite runs, have me feeling like a could go on forever – a reward for starting. That’s what getting back to the kitchen felt like this weekend. 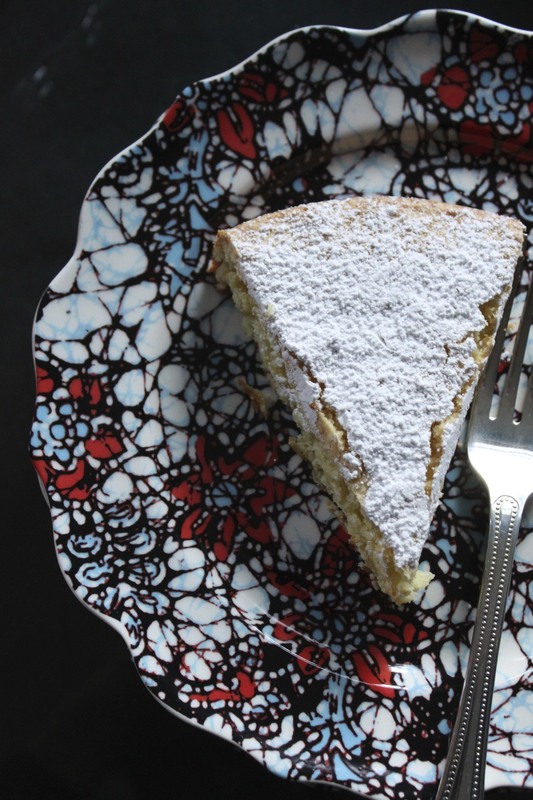 I was coming down from my runner’s high, when I remembered a cake that I’d been wanting to make since starting Hungry Sofia – a tarta de Santiago or St. James Cake. I’d only ever had it around Christmas time when it would come ready-made and wrapped in cellophane from the Spanish market Delicias de España. 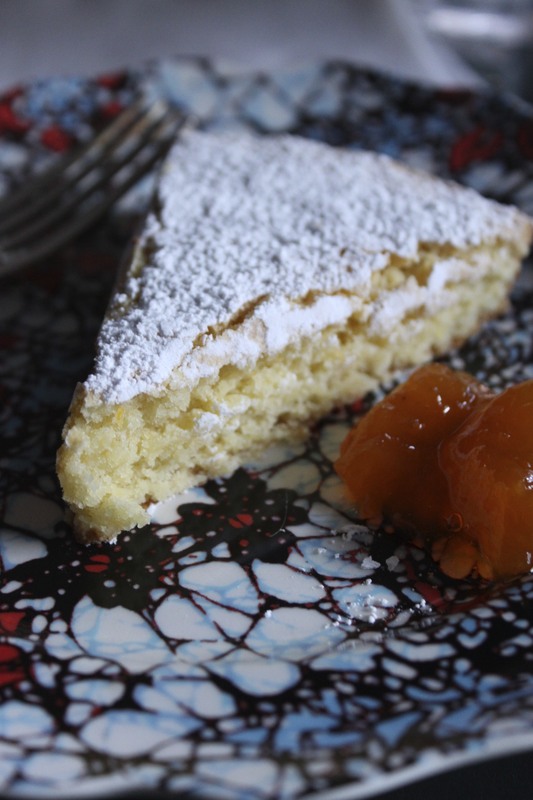 A traditional almond cake from Galicia, its sold in bakeries all over the region, especially during the feast day for Santiago el Apóstol in late summer. 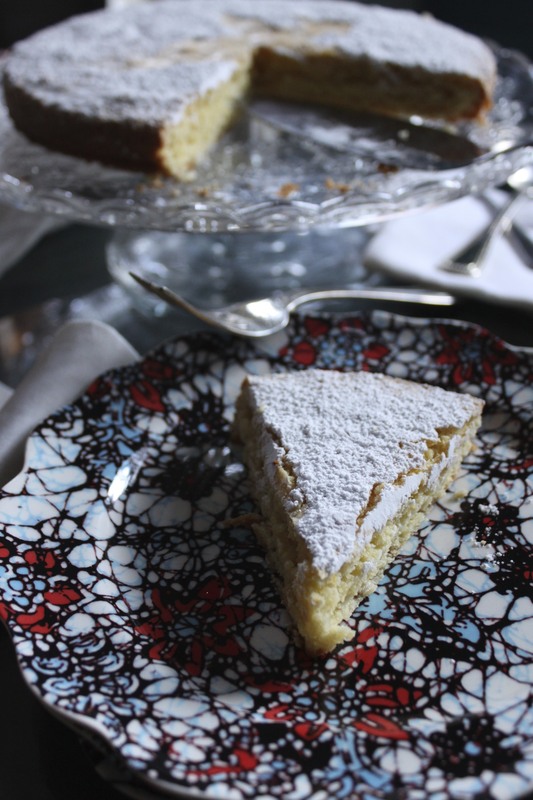 Since the Middle Ages, the cake has been served to tourists and travelers making the famous pilgrimage to Santiago de Compostela – a reward for arriving. I thought it would be complicated, but once I got down to comparing recipes, it was really just almonds, eggs and sugar and sugar baked in a single layer. It could be poured over a pastry crust or glazed over with apricot preserves but for this first time I kept it simple. 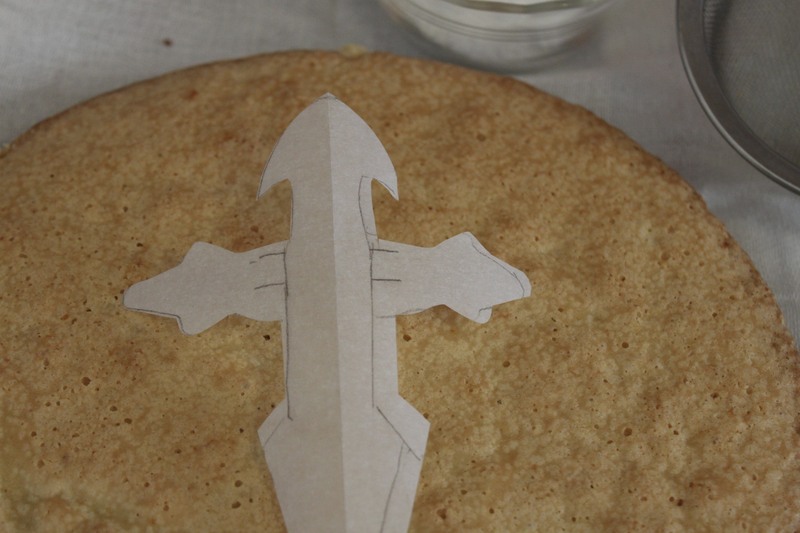 I must have been thrown by the dramatic St. James cross that tops each cake into believing it would be harder than it was. I ended up fashioning my own from fleur de lys and snowflakes. Barely adapted from Alfonso Merlo’s recipe found in Penelope Casas’ ¡Delicioso! The Regional Cooking of Spain. I found this book a couple of months ago and its become a favorite. Casas not only takes you to a specific region but a particular city, town, street, restaurant, kitchen with amazing stories and details. Preheat the oven to 350 degrees. Butter and flour an 8″-inch springform pan and set aside. 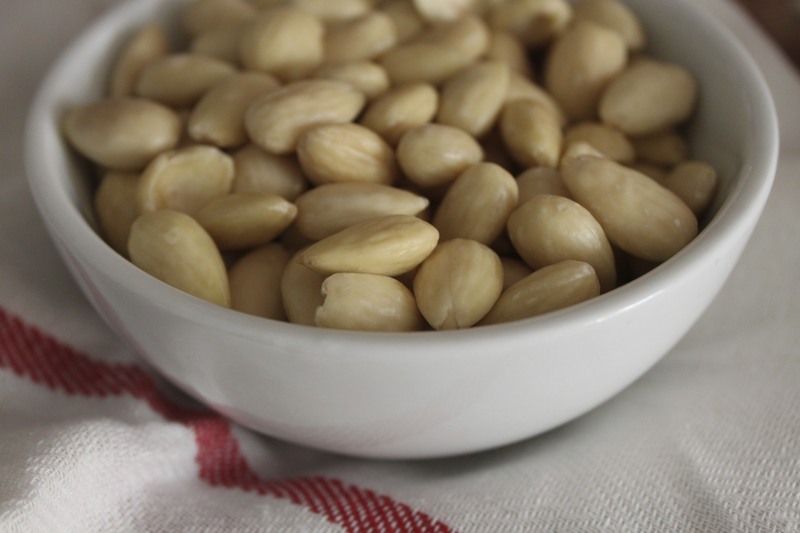 In a food processor, coarsely chop 2 ounces (about 1/3 cup) of the almonds with the flour. 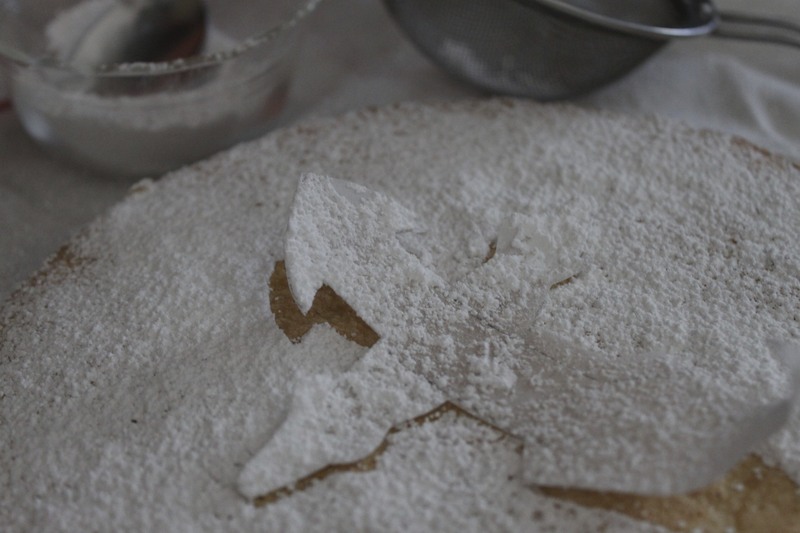 Remove almond-flour mixture and set aside. 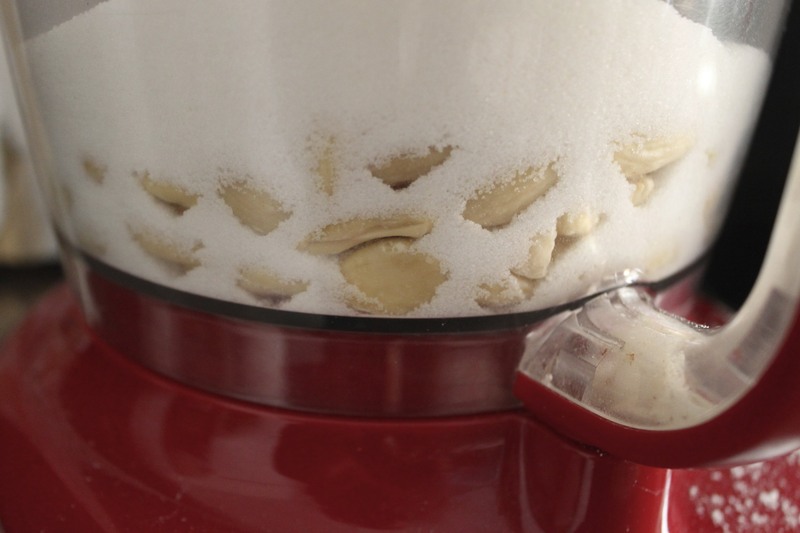 Combine remaining almonds with 1/4 cup of sugar and process until finally ground. Combine with almond-flour mixture and set aside. 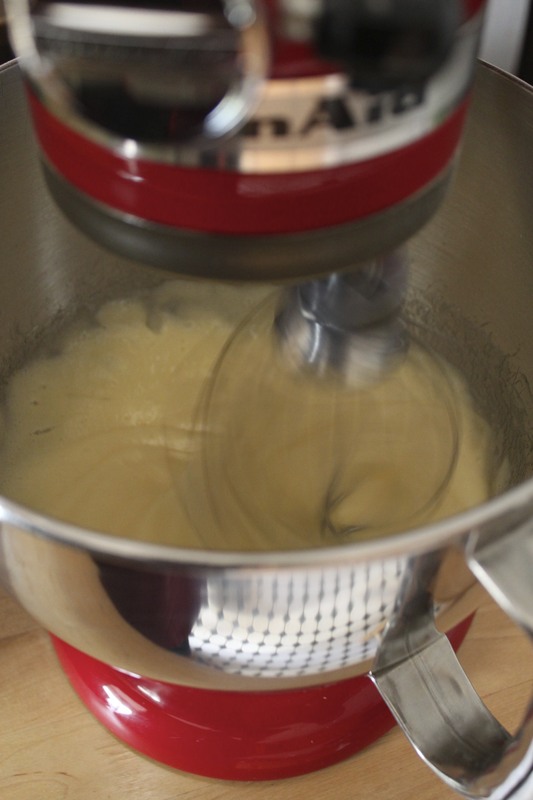 In a mixer fitter with the whisk attachment or using a hand beater, beat eggs at medium speed until foamy. 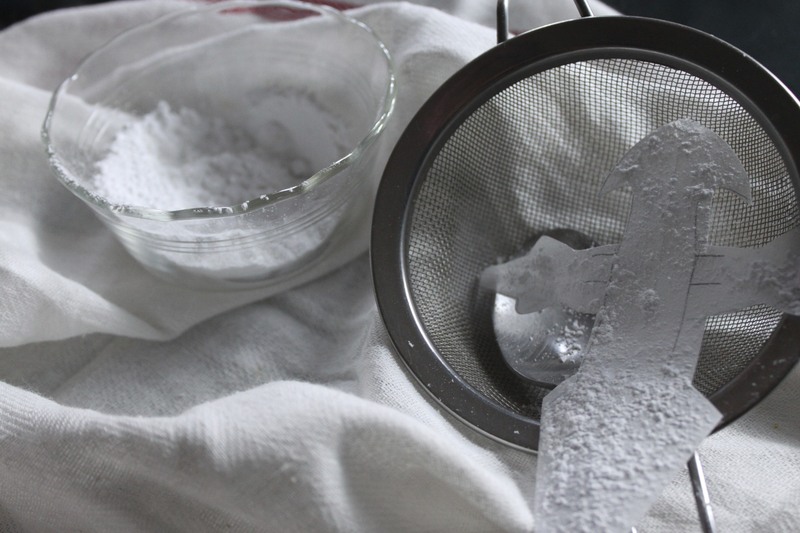 Gradually add remaining sugar until pale and thick. Stir in orange zest if using. Gently fold in the comined almond mixtures until well incorporated but do not over mix. Pour batter into the prepared pan and set in preheated oven. Bake until the cake is lightly golden and springs back to the touch, about 30-35 minutes. Allow to cool then sprinkle generously with powdered sugard before serving. Happy Blogiversary! Love the description of your attention deficit – I know that feeling only too well! 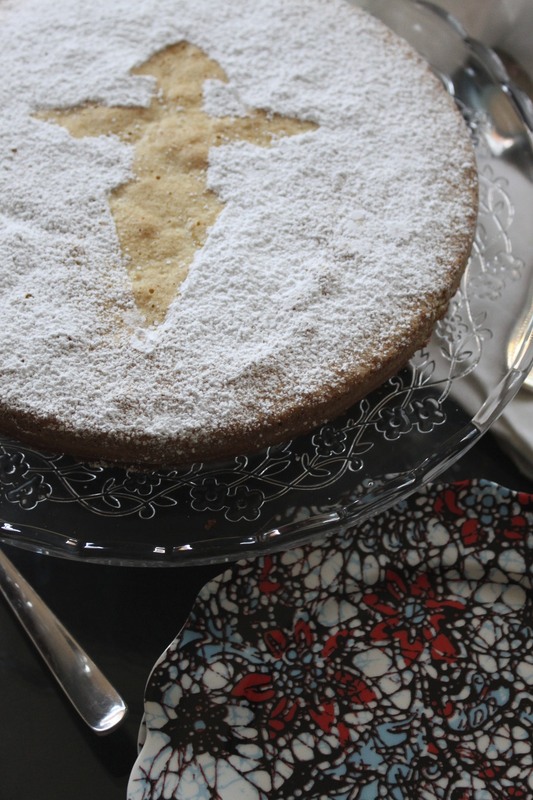 Love almonds, love almond cake, save me a slice! If I was to use almond flour in place of chopping whole almonds, do you know how much I would need to use? I think about 1 cup should work but not too tightly packed. Let me know how it works! Made the cake this evening! I used 1 cup of almond meal and only 1/4 cup of flour. I used a 9in pan, cooked it for 30 minutes but should’ve taken it out at 25 minutes. It is a bit more dense than I had hope but still delightful. I served it with some lilikoi curd. Thank you so much for your recipes! My boyfriend is Cuban, from Miami. We live in Hawaii and I use your recipes often to fix Cuban and Spanish dishes for us. I need to get a copy of your cookbook!